The Forest Sandusky, LLC, located at 1651 Tiffin Ave., Sandusky. There were no footballs or warm-up drills. But the atmosphere inside a soon-to-be-opened business called The Forest Sandusky almost felt like Media Day at the Super Bowl on Friday, as a couple dozen or so reporters from across Ohio stood shoulder-to-shoulder amid a row of TV cameras and peppered one of the star players of the state’s medical marijuana program with one question after another. “We are anxious to open our doors soon. It’s been a long time coming,” said Erik Vaughan, The Forest Sandusky chief executive officer and an executive at Standard Wellness Co. LLC. Standard Wellness also is a Level 1 state-licensed medical marijuana cultivator and processor with a facility in Gibsonburg. Although the state is initially planning to license some 56 dispensaries, the Standard Wellness processing facility that grows marijuana plants for The Forest Sandusky is one of the few authorized to do so now. What was billed as a tour of the Sandusky-based dispensary became an extensive, behind-the-counter exchange between Mr. Vaughan and the media. Reporters were allowed into the showroom where only patients with valid prescriptions will be allowed once The Forest Sandusky dispensary opens. They were not allowed in areas of the building where product is locked down and under tight security. There was no actual marijuana or marijuana-based products on display, only sample packaging. So when does The Forest Sandusky open? Nobody knows for sure, but — to Standard Wellness employees and their future customers — the anticipation is much like awaiting the Super Bowl kickoff. The dispensary had its final inspection by the state board of pharmacy on Jan. 8. Mr. Vaughan said the facility expects to open its doors any day now, the minute it gets its certificate of operation. He said he is confident that is on its way. As reporters were leaving, a resident who claimed to have one of Ohio’s first prescriptions for medical marijuana came into the waiting room and asked if the facility was now open. He was told to leave for now, and stay tuned. “We’ve had people come up to our door for several days now,” Standard Wellness spokesman Kara Lambert told The Blade. A few things distinguish what’s happening in Ohio now with what’s happening in Michigan, which in November became the first state in the Midwest and the 10th in the United States to have voters legalize marijuana for recreational use. 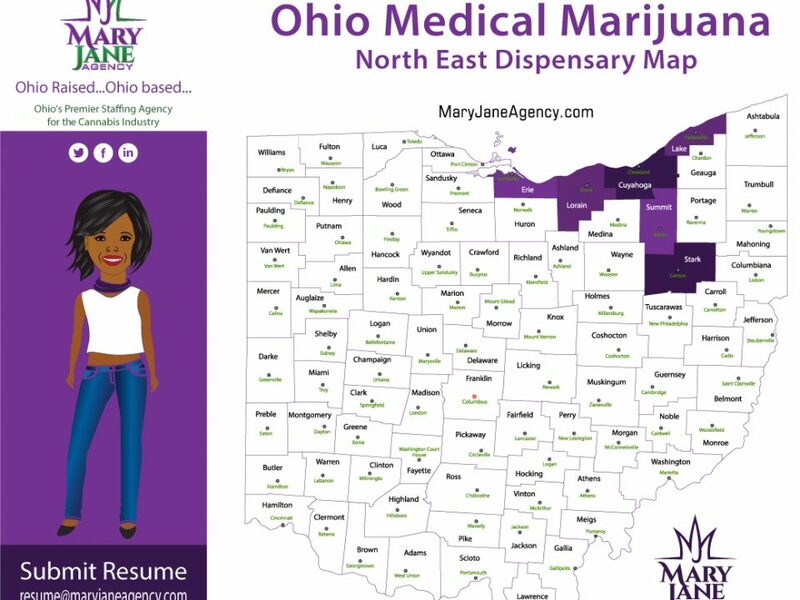 Ohio and Michigan are among 30 states that have embraced medical marijuana usage. Ohio’s is limited to that. Prescriptions are written by only state-certified doctors. In Ohio, patients must show they have AIDS, Lou Gehrig’s disease, Alzheimer’s disease, cancer, Crohn’s disease, epilepsy, multiple schlerosis, post-traumatic stress disorder, Tourette’s syndrome, glacoma, or one of the other specified health conditions. About 4,500 Ohioans have such prescriptions now, and it is believed about 200,000 will before long, Mr. Vaughan said. At The Forest Sandusky, initial transactions will be strictly cash, but as the program becomes more established, Mr. Vaughan said he is confident banks will allow credit card purchases and insurance companies will start to pick up at least part of the tab. He would not specify how much his facility’s products will cost, but said those prices will come down with economies of scale as more patients embrace the program and more product is cultivated. Nor would he say if a typical prescription is for a few days, weeks, or months. Military veterans will get a 20 percent discount, he said. Mr. Vaughan said The Forest Sandusky’s initial sales will be limited to the flower or “bud” of marijuana plants. Marijuana-laced products such as edibles, capsules, lotions, vape liquids, and oils are being developed for future sales. He and Ms. Lambert said they expect the majority of medical marijuana patients statewide will be people in need of pain relief, including the elderly. They said marijuana is a great alternative to opiates and should help curb the national opiate epidemic. Marijuana also is becoming more common to relieve anxiety, insomnia, and PTSD, they said. “It was a very high bar to get one of these licenses,” Mr. Vaughan said.